From the way we humans have been programmed, imbibing a new element – be it, a behavioral pattern, an environment, acquaintance, language – is often the most daunting of tasks. This is why it’s often said that “change never comes easy.” And, while this is true, in recent years, there has been some set of formulated patterns to making the learning of new thingseasy for us. Nevertheless, they differ based on the person and environment the subject finds themselves. Today, we have tons of ways of learning things like through reading online or offline, through verbal conversation, through writing, and a host of others. However, for the purpose of this write-up, we will be laying our strings on how to learn a programming language. So if you’re amongst those who find the art of learning programming languages ponderous, be still, because you’re finally at the right spot. Just like we communicate with one another using the languages that we understand, the same is also applicable in programming. So what’s a programming language then? Well, simply stated, programming languages are those vocabs or alphabetical laws that are used in giving commands to the computer. Also, just as it is in the real world where a native American can barely understand a native Chinese if both chose to communicate using their local languages, same is applicable when commands not understood by the computer are being imputed into it. It won’t take any action, simply because it doesn’t understand the command or language. Furthermore, each and every programming language has its own specific syntax, which helps in arranging these instructions. Some of these programming languages include Java, FORTRAN, CIBOLA, Ada, BASIC, Pascal, et al. Most often, we do hear about binary in computer terminologies, and might not know what it means. Well, binary simply is the degree to which the computer can understand commands given to it, and the process of translating those languages to binary is what we often term as “compiling” (C). 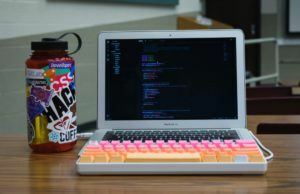 Now, why do these programming languages matter? Given the huge number of tasks available at our diverse workplaces today, if it wasn’t for the computer, most of those jobs would naturally take an eternity. So, these languages help the computer to process tasks quicker and more efficiently. 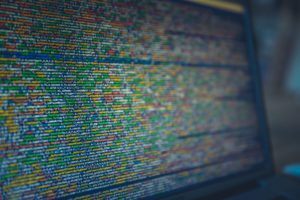 Let’s take a look at some of these programming languages. 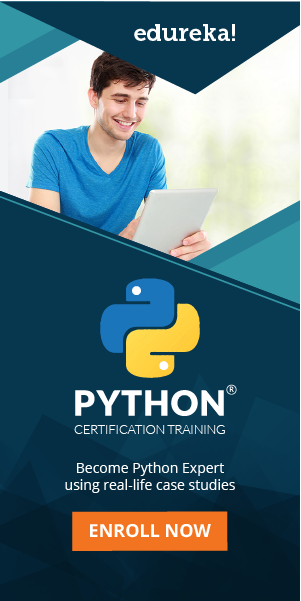 Python language was formed in the dawn of 1980s in Holland, but came into practice in 1991. The good thing about this language is that it bestows us with the opportunity of centralizing systems into a single tied down language. Another unique feature of the language is that it’s very easy to learn and simple to read. It is mostly used in gaming and web-based applications. To many, especially the gamers and phone addicts of today, this very word “java” might sound very familiar. Obviously, you must have heard it during the evolution of the mobile operating system like Symbian, Android, Java. So what then is Java? Simply stated, Java, originally known as Oak, was formed in 1990 at Sun Microsystems, but was made open in 1995. Thus, it is a multi-faceted programming language that works perfectly for Web-based applications. This is the main reason why Web developers, software engineers, infotech companies like eBay and the rest, prefer using this language. Additionally, employers today use it for communication purposes, education, finance and a host of many others. Now, why is it really important to learn this language? Firstly, the best and high-end programs make use of that language, programs like Adobe Creative Suite. Also, this language is the foundation for creating any Android application. This is an advanced programming language that was created in 1995. It is known for its simple nature and rather complex build up. This language is often used by professionals. It is used for 3d animations, track information, create platforms like Twitter and Amazon which were both made from this language. Yes, we’ve all heard about this language at some point in our life. It’s one of the commonest amongst bloggers, designers et al. So what then is HTML? The HTML language is what’s responsible for the creation of Web pages. This language is often used by Web designers to design a website for themselves or clients. The language was formed by a physicist called T. Berners-Lee in 1991. He made this, with the aim of creating a medium for scientists to exchange documents online. The good thing about this language is that, it’s very easy to learn, and simple in nature. The list of programming languages is a long one. So if you wish to go further, it’s advisable that you visit www.edureka.com for qualitative briefings on each language. On getting to know each and every programming language, you will need to have some techniques and follow some guidelines in order to avoid having a frustrating experience while trying to learn them. And this we shall be looking at. 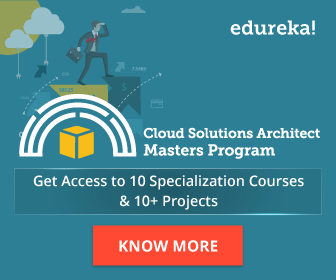 As stated earlier, if you really want to learn programming languages in the most effective and educative of ways, then kindly visit edureka, as the website covers everything concerning programming languages in its fullest. Now, that being said, how do you need to go about learning any programming language. Yes, you heard it right. You just have to be mentally prepared. Frankly, this is the main reason why people fail in learning programming languages. Facing the fact, it is a very tedious and frustrating experience, and if you aren’t mentally prepared, trust the process, you’ll give up along the way. So, before embarking on learning any new programming language, make sure you have all this at the back of your minds. Okay, if you’ve been accustomed to this sick way of life. I’d suggest you eschew it while trying to learn a programming language. 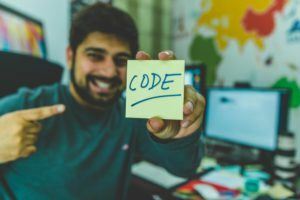 No one has ever succeeded on his or her own in this field, especially when it comes to writing and understanding coding languages. Whenever you’re confused, please don’t hesitate to ask for help. There is certainly no beauty or pride in feeling too knowledgeable because, at the end of the day, you will have yourself to blame. Lastly, while you’re busy trying to figure the whole language thing out, please don’t forget to give yourself a break. Taking a break is part of learning, that’s what most people fail to realize. We are humans and not computers, and even for computers sometimes they need to hibernate. Our brain sometimes needs to be relaxed, before assimilating anything again. Failure to heed to this rule often leads to one’s breakdown either psychologically or as a whole. So in a nutshell, the best way on how to learn a programming language is by keeping to the above-stated rules. If you don’t, then, unfortunately, you will barely make it to the end. And always remember that once you succeed in learning any of this plethora of programming languages, the job opportunities will be at your disposal. Right now, good programmers earn big in multinational companies. That’s nothing less than the American dream.